Below are the speakers who presented at the now-concluded September 2012 Embedded Vision Summit East. 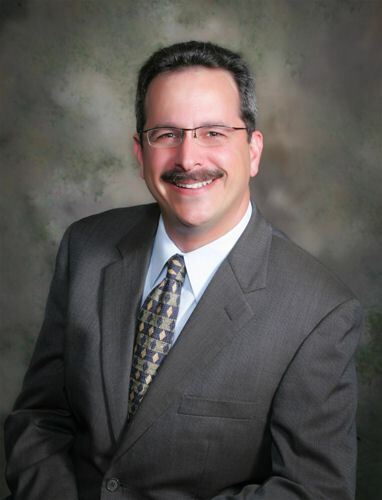 Jeff Bier is founder of the Embedded Vision Alliance. The Alliance is an industry partnership formed to enable the market for embedded vision technology by inspiring and empowering design engineers to create more capable and responsive products through the integration of vision capabilities. Jeff is also co-founder and president of Berkeley Design Technology, Inc. (BDTI), a trusted resource for independent analysis and specialized engineering services in the realm of embedded digital signal processing technology. Jeff oversees BDTI’s benchmarking and analysis of chips, tools, and other technology. Jeff is also a key contributor to BDTI’s consulting services, which focus on product-development, marketing, and strategic advice for companies using and developing embedded digital signal processing technologies. Goksel Dedeoglu, Ph.D., is the manager of the Embedded Vision team at Texas Instruments' Systems and Applications R&D Center. He and his team design and optimize embedded software for real-world application performance and robustness, tackling challenges in automotive safety, video security, and gesture recognition. 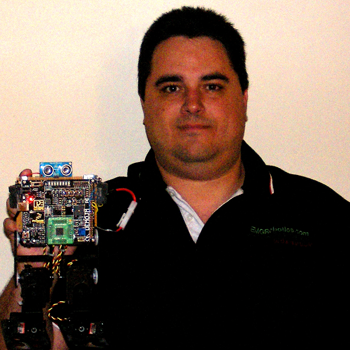 Goksel holds a Ph.D. in Robotics from Carnegie Mellon University where he specialized in Computer Vision. He is also a graduate of the University of Southern California and Istanbul Technical University. Michael Fawcett is the Chief Technology Officer at iVeia and has over 20 years of experience managing, architecting, designing, implementing, and deploying real-time digital signal and video processing systems. For companies such as SAIC, Verint, and iVeia, Michael has been the chief architect of a number of high-performance embedded processing platforms and signal processing applications using hybrid general-purpose processor and programmable logic architectures. He holds a B.S. degree in Computer Engineering/EE from Virginia Tech. Dan Isaacs is director of processing, product marketing at Xilinx. He has over 25 years experience working in mil/aero, automotive, and consumer based companies including Hughes, Ford, NEC and LSI Logic. During his career, Dan has held positions in software design, FPGA design engineer, systems engineer and system verification, applications, other-technical related management. He holds degrees in Computer Engineering- EE from Cal State University and a B.S. degree in Geophysics from ASU. Simon Morris has over 20 years of professional experience in both private and public semiconductor companies. Simon is responsible for leading CogniVue's evolution from an R&D cost center through spin-out to an independent privately held fabless semiconductor and embedded software business. Prior to joining CogniVue, Simon was Director at BDC Venture Capital. From 1995-2006 he also held various senior and executive leadership positions at Atsana Semiconductor, and senior positions at Texas Instruments. Simon has an M.Eng in Electrical Engineering and a B.Eng in Electrical Engineering from the Royal Military College of Canada, and is a member of the Professional Engineers of Ontario. Kamalina Srikant is a Product Marketing Manager at National Instruments, a global leader in providing test, measurement, and embedded systems for engineers and scientists. She has a focus on the machine vision and embedded vision markets, as well as experience in energy and manufacturing. Before joining NI in 2007, Kamalina earned her degree in mechanical engineering from McGill University in Montreal, Canada. Dr. Bo Wu is Technical Marketing Manager for System-Level Solutions at Synopsys. Over the last 16 years, Dr. Wu has been involved in system design, simulation and implementation in wireless and multimedia applications during his employment with Nortel, AT&T Wireless, Cadence, CoWare, and now Synopsys. Dr. Wu holds a Bachelor degree and a Master degree in Electronic Engineering from Tsinghua University in China, and a Ph.D. degree in Electrical Engineering from University of Victoria in Canada. Gabby Yi is a DSP Applications Engineer at Analog Devices, Inc with his BSEE and MSEE from Northeastern University. He has been with ADI for over eleven years. During this time, Gabby has been involved with many different projects involving the Blackfin DSP including digital still camera, IP set-top box, video compression technology, and more recently helping to define and architect embedded security solutions on upcoming parts.